Infections of the knee joint can be a serious problem. Symptoms of an infection include redness, swelling, and fevers. The treatment of a knee infection depends on the type and location of the infection. The most serious infections occur inside the knee joint where the body's immune system has a difficult time fighting the infection. A septic joint means that infection has entered into the joint space. A normal joint is where two bones connect. The bones are covered with cartilage, and the joint space is defined by an envelope of tissue called synovium. The synovium makes a fluid called synovial fluid that lubricates the joint space. This synovial fluid has little immune defense, and when infection enters this space it can be difficult to treat. 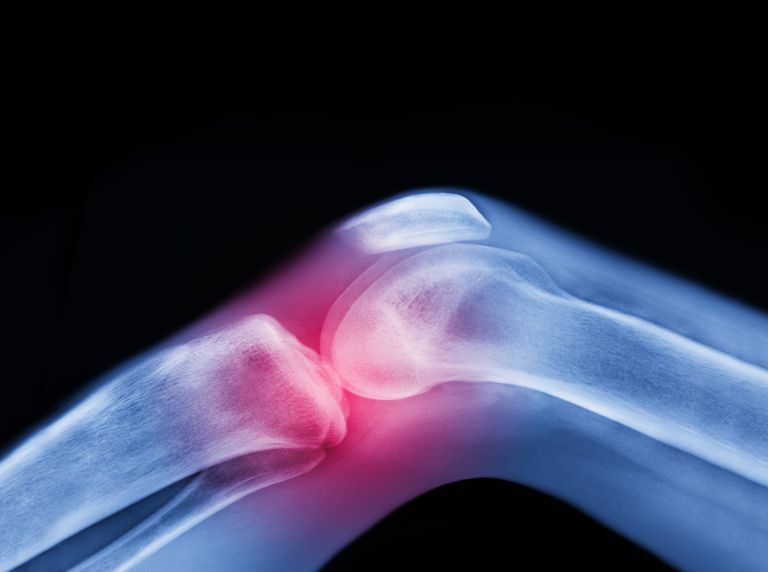 Bacteria can enter a joint either by a penetrating injury or through the bloodstream. When the joint is infected, typical symptoms include swelling, warmth, and pain with any movement of the joint. Most people with a septic joint require a surgery to clean the knee joint, although it is possible in some cases to treat a septic joint with antibiotics alone. The appropriate treatment depends most significantly on exactly what type of bacteria have infected the joint. If left untreated, a septic joint can lead to serious complications, including osteomyelitis (bone infection), bone erosion, fibrous ankylosis (stiffening of connective tissues), sepsis, and even death. Any time there is a surgical procedure, there is a chance of developing an infection. Infections after most knee surgical procedures, including knee arthroscopy, are rare, but they do occur. Infections are particularly troublesome after reconstructive knee surgery, such as ACL reconstruction, because of the presence of tissue grafts. Even then, the risk is extremely low. According to research published in the medical journal Sports Health, of the 1,850 ACL reconstructions included in the study, only seven (0.37 percent) experienced a postoperative infection. Infections after surgery have the same symptoms as a septic joint, and often require a second surgical procedure to clean the infection. If the surgical procedure involves the placement of either a tissue graft or any foreign material (screws, implants, etc. ), these may ultimately have to be removed to cure the infection. Knee replacement surgery is a very successful procedure that most often relieves pain and allows patients to resume many activities. Unfortunately, there are possible risks of joint replacement, and one of the most serious is an infection of a knee replacement. According to a 2012 study from France, infection occurs in between one percent to three percent of knee replacement surgeries and is the leading cause of knee revision surgery. Infections of a knee replacement are generally divided into early infections (within 6 weeks from the time of surgery) and late infections. Early infections may be treated in some cases by surgically cleaning the replacement, and administering antibiotic treatment. Late infections and some difficult early infections require more aggressive treatment. This includes removal of the replacement implants, following by a period of time of antibiotic administration with no implants in the joint, followed by a revision knee replacement. Knee bursitis can cause swelling over the top of the kneecap. The bursa of the knee is not located within the joint, but rather in front of the joint. If there is an abrasion or cut, the kneecap bursa can become infected. Typical symptoms include pain, redness, and increasing swelling over the kneecap. When identified early, kneecap bursitis may respond to antibiotic treatment. In more advanced cases, the bursa may have to be drained through a needle or a surgical incision. Cellulitis is the condition that occurs when infection is in the deep layers of the skin. Cellulitis typically causes redness and swelling of the legs. Often there is an injury such as a cut, scrape, or insect bite that causes the infection to enter the deep layers of the skin. In other situations, there is no preceding injury. In most patients who have cellulitis with no preceding injury, there is some type of immune deficiency, such as diabetes, that allowed the infection the occur. It is important to recognize the signs and symptoms of cellulitis early, and the condition is usually treated with antibiotics. In patients who allow symptoms to persist, there is a chance of the infection worsening and even spreading by entering the bloodstream. If this happens, it can be potentially life-threatening. Call your doctor or go to the nearest emergency room if you develop symptoms of cellulitis, including red streaks emanating from a local skin infection, as well as increased warmth, pain, swelling, fever, or a fluid or pus discharge. A knee infection is a serious problem that requires prompt, and often aggressive treatment. Infections that extend inside the knee joint almost always require surgical treatment, and sometimes infections around the joint may require surgery. It is important to seek early treatment if you suspect an infection. The prognosis and timeline for recovery tend to improve when these problems are diagnosed and treated as early as possible. Cyteval, C. and Bourdon, A. Imaging orthopedic implant infections. J Radiolog Diagnos Intervention. 2012:93(6):578-89. DOI: 10.1016/j.diii.2012.03.004. ﻿Daines BK, Dennis DA, Amann S. "Infection prevention in total knee arthroplasty" J Am Acad Orthop Surg. 2015 Jun;23(6):356-64. Gobbi, A.; Karnatzikos, G.; Chaurasia, S. et al. Postoperative Infection After Anterior Cruciate Ligament Reconstruction. Sports Health. 2016;8(2):187-89. DOI: 10.1177/1941738115618638. Shirwaiker RA, Springer BD, Spangehl MJ, Garrigues GE, Lowenberg DW, Garras DN, Yoo JU, Pottinger PS. "A clinical perspective on musculoskeletal infection treatment strategies and challenges" J Am Acad Orthop Surg. 2015 Apr;23 Suppl:S44-54.